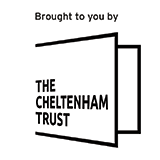 A member’s access to Leisure at Cheltenham is via Biometric Recognition. This involves the use of our kiosk and access control software that uses fingerprint scanning to speed up a member’s access into our facilities, increases greater security over their user identity and removes the need to carry a membership card. It also allows our IT system to determine whether the person is a paid-up member and therefore qualified to gain access. Biometric Recognition is an integral part of our membership system. Any registered fingerprint data is automatically deleted when a member decides to terminate their membership with Leisure at Cheltenham. We will collect consent from parents/guardians of young persons under 13 years of age before allowing young persons to submit their fingerprint. Download the Online Booking User Guide.